ChiIL Mama : Time To Switch It Up! Hot New Nintendo Switch Out Today. Time To Switch It Up! Hot New Nintendo Switch Out Today. It's our great pleasure to partner up with Nintendo once again, and introduce our readers to the incredible new Nintendo Switch. This groundbreaking system is released to the public TODAY, 3/3, but my 15 year old son and I got to play with it a couple weeks ago in Chicago at Revel Fulton Market! Hopefully you caught loads of our real time social media posts from the event. We were live streaming on YouTube & posting photos on Facebook, Twitter and Instagram, documenting our adventures with Nintendo Switch. It was amazing to be invited to be one of the first families in the country to see the new games in action, and we had too much fun. Check Out Our Full Set Of Photos In The Slideshow Here. More of our favorite shots are below. The press preview at Revel Fulton Market on 2/18 was a gamers paradise and a visual feast of fun. The giant, open room was filled with cozy little living room scenes, each with screens, Nintendo Switch games, and comfy decor. We had a blast trying out some classic favorites like Street Fighter II, Sonic, Mario Cart and Skylanders, and some new finds too. We had a blast playing Mario Cart 8 Deluxe on an airplane! They even had a vintage Mario Diner set and volunteers playing game demos on the BIG screen for prizes. The whole event was fantastically fun. This groundbreaking system is versatile, and replaces the need for separate home gaming units, and portable travel units. Here at ChiIL Mama, we are impressed by how tiny yet responsive the controls are! Switch enables players to play some games while facing each other, and stay active and interactive by throwing real punches, dancing and moving in real time, to advance game play. My teenage son, who is an avid gamer, thought it was brilliant and I was relieved that it was fairly easy to figure out, even for a middle age mom! 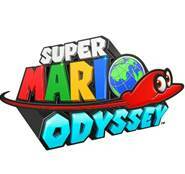 The controls are intuitive and evolved from earlier familiar systems we grew up with like GameCube, Wii, and DS systems. From what we've seen of Nintendo Switch, we highly recommend Switching up. Nintendo Switch is the new home video game system from Nintendo. In addition to providing single and multiplayer thrills at home, the Nintendo Switch system can be taken on the go so players can enjoy a full home console experience anytime, anywhere. The mobility of a handheld is now added to the power of a home gaming system, with unprecedented new play styles brought to life by the two new Joy-Con controllers. At home the system rests in the Nintendo Switch dock, which lets you play with family and friends on a TV in the comfort of your living room. By simply lifting Nintendo Switch from the dock at any time, the system instantly transitions to handheld mode, and the same great gaming experience that was being enjoyed at home now travels with you. 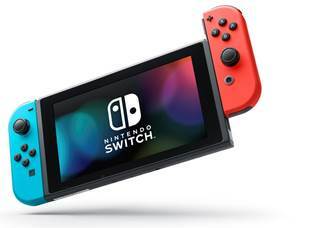 The portability of Nintendo Switch is enhanced by its 6.2-inch screen, which displays bright, high-definition gameplay at the park, on an airplane, in a car, or at a friend’s apartment. Something old... something new. My husband and I grew up with the first generation Nintendo characters and games ever invented. They're reissued for Nintendo Switch, easier to play than ever, and ready for parents (and grandparents) to introduce those classics to the next generation of gamers. Then there are new games like Arms, a battling game that's a great workout at the same time, that we thoroughly enjoyed learning how to play. Game launch dates range from March 3rd through the holiday season. All release dates are listed below. Choose a fighting champion from around the world, equip your own combination of extendable arms, and then use a mix of button presses and quick hand motions to really take the fight to your opponent. Throw punches and guide them midfiight to hit agile fighters, avoid incoming attacks with dashes, or trampoline high into the air to rain down fists from above. Power-up your punches to deal extra damage or curve your fists around obstacles to hit skittish opponents. Fill up your special gauge to dish out devastating combinations and finish them off. Unleash your inner fighter in this unbelievable sporting event! Disclosure: Thanks to Nintendo for inviting us to ChiIL' out with them in Chi, IL and play with the Nintendo Switch at Revel Fulton Market. a couple weeks before it's launch. We were given snacks and some full collectibles. I was not paid for this feature and as always, all opinions, photos and experiences are my own.